It’s been a little over a year since local grungy, alt rock outfit Thelma and the Sleaze embarked on their ambitious, month-long, intra-city Kandyland tour, where they played 31 shows in 29 days all around Nashville (often in unorthodox spots, like a laundromat and a McDonald’s) before giving away a van. 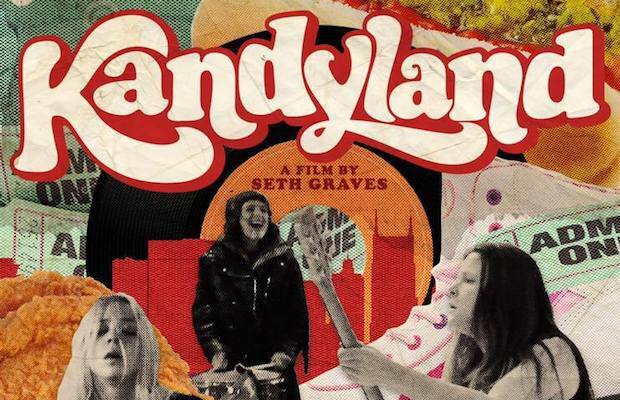 As you may recall, local filmmaker and journalist Seth Graves tagged along to capture the whole thing, and has since turned Kandyland into a feature documentary. Back in January, the band screened an early cut, along with celebrating a new 7″, with a show at Little Harpeth, but now the doc is nearing its final cut, and has been selected to debut at the Nashville Film Festival, which runs April 20-29 at the Regal Hollywood 27 in 100 Oaks. Specific screenings times have yet to be announced (and, presumably, some sort of digital release with follow), but, in the meantime, you can catch a glimpse of Kandyland with its first trailer below! ZZ Ward Drops New Single “Lonely” | See her at Marathon Music Works on 9/4!